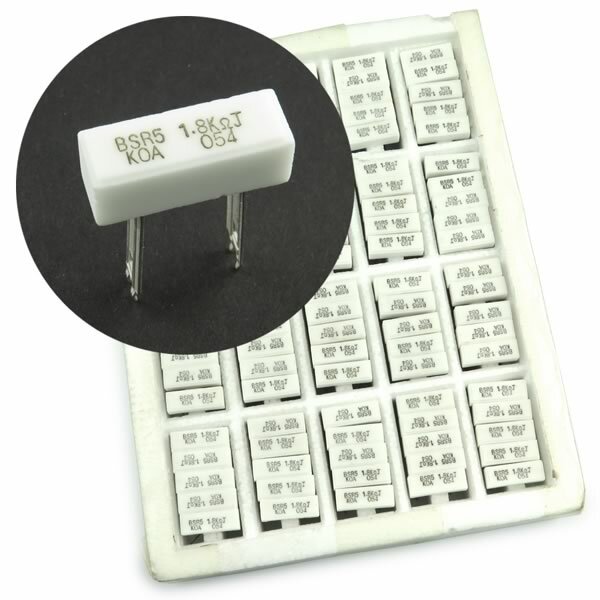 Small sandstone power resistor is rated 1.8KΩ 5Watt. Full radial leads. Size 1.80" x 0.38" x 0.40". Factory package of 100 pieces. Retails for much more than our blowout price! Made by KOA Japan.